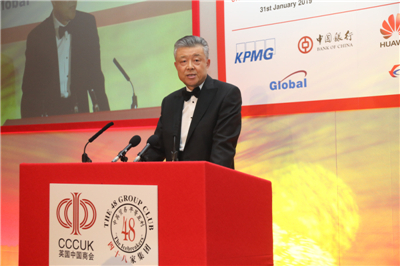 On January 31, Ambassador Liu Xiaoming and Madam Hu Pinghua attended the Chinese New Year Dinner of the Year of Pig jointly-hosted by the 48 Group Club and the China Chamber of Commerce in the UK (CCCUK). 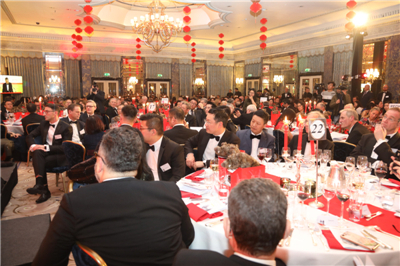 At the dinner, Ambassador Liu delivered a keynote speech. Stephen Perry, Chairman of the 48 Group Club, Baroness Fairhead CBE, Minister of State for Trade and Export Promotion, the Department for International Trade (DIT), the Rt Hon. Lord Heseltine CH PC, former Deputy Prime Minister of the UK, Chen Zhou, Vice Chairman of China Council for the Promotion of International Trade (CCPIT), Fang Wenjian, Chairman of CCCUK and General Manager of the Bank of China London Branch and Wang Shengniu, CEO of Huawei Technologies (UK) Co., Ltd also made speeches respectively. About 400 people were at the event, including the Rt Hon. Lord Bates PC, Minister of State at the Department for International Development (DFID), the Rt Hon. Lord Sassoon FCA, Chairman of China-Britain Business Council (CBBC), the Rt Hon. Lord Green of Hurstpierpoint, Chairman of Asia House, the Rt Hon. Lord Howell of Guildford, Chair of the House of Lords International Relations Committee, the Rt Hon. Lord Clement-Jones CBE FRSA, Deputy Chair of APPCG, the Rt Hon. Lord Powell KCMG, the Rt Hon. Lord Davidson of Glen Clova, the Rt Hon. Lord McNally PC, Sir Martin Davidson KCMG, Chairman of the Great Britain China Centre, Richard Burn, HM Trade Commissioner for China, David Sayer, Member of the KPMG Board in the UK, and Sir Sherard Cowper-Cowles KCMG LVO, Group Head of Government Affairs at HSBC Holdings, as well as people from various sectors of Chinese and British government, industry and business, finance, culture, education, and media. 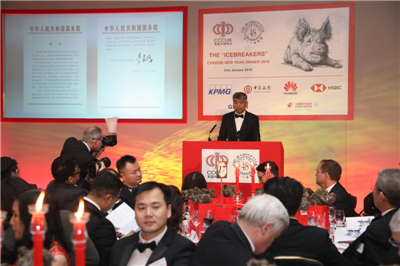 Ambassador Liu delivered a keynote speech entitled Carry on the “Icebreakers” Spirit and Take China-UK Relations Forward. He pointed out that in the new era, both China and the UK should carry on the “Icebreakers” spirit to break the ice of protectionism and build an open and inclusive world economy, to break the ice of outdated mindset and enhance mutual trust and mutual learning, and to break the ice of confrontation and strive to build a community with a shared future for mankind. The Ambassador said, “In 2019, we will celebrate the 65th anniversary of the establishment of our diplomatic relationship at the level of chargé d’affaires. China-UK relations will come to a new starting point. There will be both opportunities and challenges.” He urged the two sides to adopt a long-term and strategic vision and contribute positive energy to China-UK relations to ensure the relationship between the two countries on the right track. He hoped the UK would insist on openness and inclusiveness, resist all kinds of pressure and interruptions and continue to foster a fair, transparent and non-discriminatory business environment for Chinese companies in the UK, including Huawei, so as to take China-UK cooperation to a new level. The two sides should keep forging ahead to give a fresh boost to China-UK cooperation on innovation and talent exchange, respect each other’s core interests, major concerns, sovereignty, security and right to development and address their differences properly to ensure that China-UK relations will continue to break the ice and move ahead. 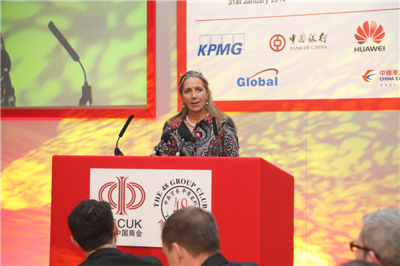 Baroness Fairhead said in her speech that with the joint efforts of China and the UK, the relationship of the two countries has entered a “Golden Era”. Early last year, Prime Minister May paid a successful visit to China. The leaders of the two countries reaffirmed their commitment to the China-UK “Golden Era”. China and the UK have complementary advantages and great potential on cooperation in economic and trade, finance, energy, service and agriculture. As a natural partner of the Belt and Road Initiative, Britain is willing to cooperate with China in third party market in line with international standards and transparency. Although there are differences between China and the UK, the British government is committed to developing relations with China and is willing to continue to promote the development of UK-China relations on the basis of mutual trust and consultation. 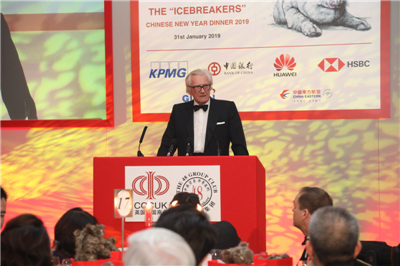 Lord Heseltine said in his speech that over the past 40 years since reform and opening up, China has evolved from a underdeveloped agricultural society to an open economic power in the world, which is the greatest and the most exciting achievement in human’s history. China has a clear plan for its development and no one can stop its pace of progress. Perry, Fang Wenjian, Wang Shengniu, Sayer and Cowper-Coles made speeches respectively, saying that they are willing to actively promote China-UK pragmatic cooperation in various fields. 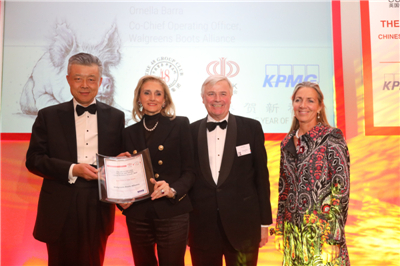 At the dinner, Ambassador Liu and Baroness Fairhead presented “Investing China Award” and “Investing UK Award” jointly set up by the 48 Group Club, CCCUK and KPMG to Walgreens Boots Alliance and CR Power UK. 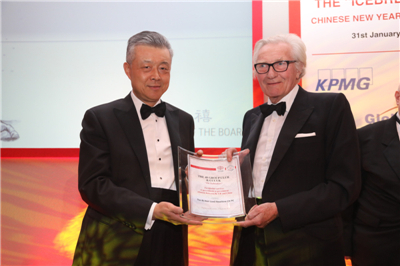 The Ambassador also presented “The 48 Group Club CCCUK Lifetime Award” to Lord Heseltine. 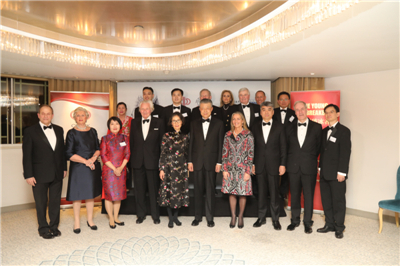 At the warm and happy dinner party, hailing the achievements of China’s reform and opening up and China’s major measures of further expanding opening up, the guests expressed their full confidence in the future development of China and China-UK relations, and their readiness to make greater contribution to a healthy and steady China-UK relationship.